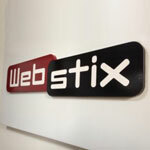 Thanks for choosing Webstix for your website project! It’s Tony from Webstix and I wanted to welcome you and give you some information about your project. You may have a few questions about what is going to happen next, so we’ve created this page to help guide you through our process and let you know about a few things. Your logo – an EPS file is best or else a PSD (Photoshop file). Check with the company that does your printing. They should have it on file. Otherwise, if you don’t have an EPS, PSD or PDF file of your logo, then send it how you have it. Hopefully you have a .tif or maybe a .gif file of your logo. A .jpg file is not good for a logo since it’s compressed and there might be some artifacts (extra junk pixels) included, which may require some clean up. Also, an MS Publisher file is also maybe not a good format. If you are not sending an EPS or PSD file, then we’ll need to know what the official colors of your logo are. These are usually PMS numbers or else RGB, CMYK or hexadecimal maybe. Let us know what they are and which format you’re giving us. Images – we need images to put on the website that either show who you are, your products, your building, etc. – basically, whatever is going to help us design the home page. It’ll look better and make more sense if we’re using images that will be on the final website. For these files, .jpg files work just fine. Make sure they’re large enough – anything over 1000 pixels wide should be fine. Images over 3000 pixels wide are probably kind of big but we can reduce them down. It’s easier to shrink them down. We can’t make them larger (create information). Images sent to us need to be images that you have the rights to use. Please do not ever send us “placeholder” images that you do not have the rights to use because they could end up on the final website (by mistake or whatever). Copy – some sample text for the home page. This does not have to be the final text but should be close so that we know about how much text to expect and integrate into the layout. Your project will be set up in Basecamp, which is an online system we use to manage projects. You will receive an email soon that invites you and provides you with a username and password. When using Basecamp, you can either just reply to emails or you can login and post your responses there. It is a good idea to activate your account and login once. You will not be asked to login too often if you use the same computer and web browser, so logging in won’t really be a hassle as long as you do it the first time. Have your web browser remember the username and password and save the email that is sent to you. If you like, you can take a tour of Basecamp (do not sign up at the bottom – we will be creating an account for you). We will create a thread in Basecamp where you can upload images, your logo and text/copy. Feel free to create new threads about new topics that come up. 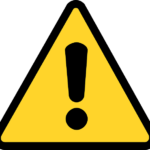 Please be sure to include everyone from Webstix so that we do see your posted message. You will hear from our Project Manager. They will guide you through the process. They will keep a Site Map document that will show all the pages of the website along with the content we need and which content has been posted on the staging site (once that is ready). We’re here to help, so just ask us about anything – talk to your Project Manager or Sales Representative. We also have an online Knowledge Base (which you’re already in) that is continuously growing with information. For example, one good article to read might be “Home Page vs. Inside Pages” which explains a little bit about the design process and the types of pages your website will have. Since web browsers continue to evolve and change, we do what Google does and we just support the latest 2 versions of the latest web browsers at the time your website launches. Please see our policy regarding support for web browsers.